My Dad’s a banjo player. And that’s not a strange euphemism for any dodgy Deliverance-influenced way of life. He’s a straight-up, proper bluegrass bashin’, six-fingered pickin’ ‘n strummin’ banjo player. And quite good too. Plays in a band and everything. Which is more than I do these days. Maybe once I retire…..
As a teenager when I was learning to play the cheap plank of wood and rubber band combo that passed as my first electric guitar, he’d show me how to play the chords to any number of Buddy Holly songs, when all I really wanted to do was play the She Sells Sanctuary riff in front of the mirror. He couldn’t show me, thankfully (how uncool would that have been? ), but it didn’t stop him listening to my records from afar and watching any videos I was in the process of freeze-framing in order to establish what chords, strings and frets my latest idol was playing. Now and again he’d point out a D chord or a hammer-on at the 7th fret, but that was as far as he got. I got quite good at learning by ear/watching telly. I still play Blackbird the same way after watching Paul McCartney’s MTV Unplugged. And I finally worked out She Sells Sanctuary (dead easy, but you knew that already). 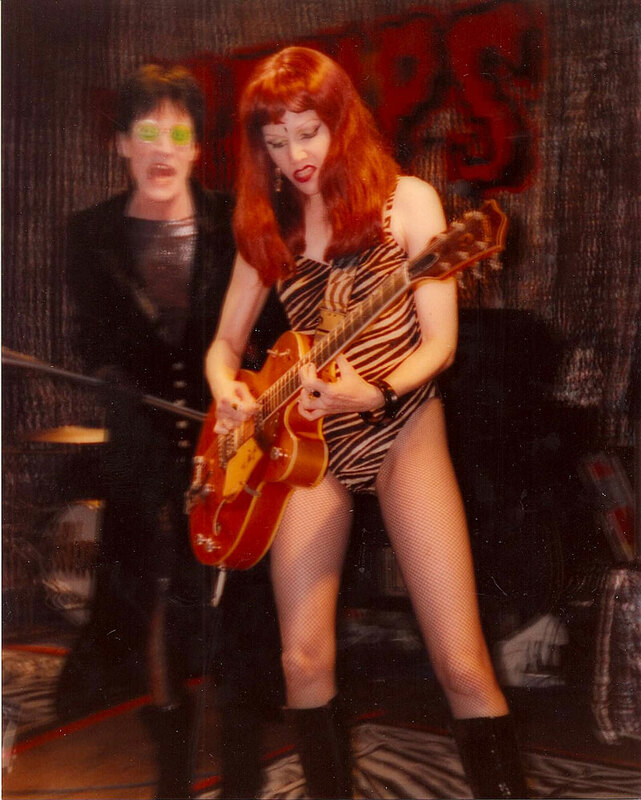 Conclusive proof, if it were needed, that The Cramps were the last truly great rock and roll band. Two cover versions (the first 2) and an outrageously good self-penned rip-off of Hang On Sloopy that does exactly what it says on the tin. The twang’s the thang, baby! There’s a Cramps tribute on in McChuills, Glasgow this Saturday night, with The Primevals amongst others taking part. Just a wee heads up if you’re at a loose end. Click on the link. You might say it Lux interestin’……. (Scottish pun).